/N SPRO, Recipient of the 2015 SAP Retail Excellence Partner of the Year Award! Miami, FL – October 22, 2015 – /N SPRO was selected as the SAP Retail Partner of the Year at the SAP Retail Forum currently taking place in Miami, FL. The 2015 SAP Retail Excellence Awards recognizes the tremendous efforts and achievements of SAP customers and partners that have generated significant business results through the implementation of SAP for Retail solutions. /N SPRO is one of the top professional services and product development firms across all of SAP’s Retail software suite and the ‘go-to’ expert in the market. Committed to delivering innovation in the Retail industry, /N SPRO has successfully orchestrated SAP implementations in projects of all sizes in more than 20 countries covering all sectors of retail, including: Apparel/Footwear; Services; Pharmacy; Hardline; Softline; Grocery. 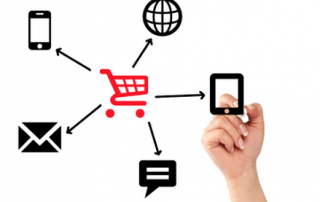 Grocery companies should consider prioritizing their mobile offerings as they shape their omni-channel strategies. Food shoppers buy products differently than apparel or hard goods shoppers. A robust mobile channel will be required to be competitive for most food retailers. Post based on Original Article Source. When it comes to buying stuff online, most people still prefer PCs. But mobile is becoming an increasingly important sales channel for one particular retail industry above all others: Groceries. Based on data from PriceWaterhouse Coopers charted for us by BI Intelligence, 37% of all grocery e-commerce sales in October came from purchases on a mobile device like a phone or tablet. Other retail industries, like furniture and health, are not too far behind, but BI Intelligence predicts sales of online groceries will grow at a much faster rate than sales at traditional supermarkets. Considering how the US grocery industry accounts for roughly $600 billion a year in sales, BI Intelligenceforecasts the online grocery market will grow about 21% each year for the next three years. After all, the food and beverage industry is the largest retail industry by far, and online services that can get food into your home — whether it’s fresh from the store or already prepared by a restaurant — are in high demand: Companies from GrubHub to Amazon and Uber are already launching campaigns to get in on the action. 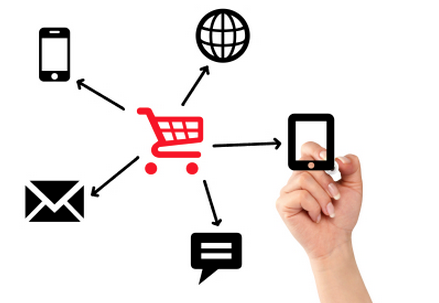 Successful omni-channel retailers are beginning to break down the walls between store and on-line and become customer-centered by aligning the organization, processes, data, reporting and systems. What’s needed are simple, intuitive, fast tools that provide customer insights across the retailer’s entire product and channel portfolio. Tools like SAP’s Customer Activity Repository are customer-focused and provide simple, fast access to customer channel preferences by product, season, promotion, location, plus a host of additional data elements. Post based on Original Article Source. Retailers want their shoppers to have the same experience whether on the phone, on the computer or in the store. One inventory, one unified customer service experience, one checkout. It can mean pick-up in store, ship from store, click and collect, order in-store or a number of other options that make it painless to get what you want, wherever you are, when you want it. This is what retailers mean when they talk about “omnichannel,” and it’s at the top of their priority lists this year, according to the National Retail Federation. The topic took center stage at the eTail West Conference in Palm Desert on Wednesday. The conference, hosted by Worldwide Business Research, runs through Friday. “What’s going to happen over the next five years is a merging of online and offline into a single retail organization,” said Forrester VP and Principal Analyst Peter Sheldon, during a keynote presentation at the J.W. Marriott.